Our talented, experienced teams provide a host of services to the wireless communications industry. Whether it’s site deployment, network integration, or 4G LTE upgrades, we perform large scale implementations or single site upgrades profitably and efficiently. We provide full turn-key implementation, from network infrastructure design to deployment and maintenance. We can assemble and lead project teams, manage external suppliers and service providers or provide niche staffing services to give our clients maximum flexibility in meeting their project needs. We have been servicing Tier 1 carriers since 2003 in a wide range of network initiatives. We have zoned and permitted thousands of sites and performed turnkey implementation of hundreds of new build sites. Our teams have completed highly successful multi-state site integrations and flawlessly executed highly complex upgrade and conversions projects. Today our teams continue to serve Tier 1 carriers, power holding companies, regional project developers and global system integrators. 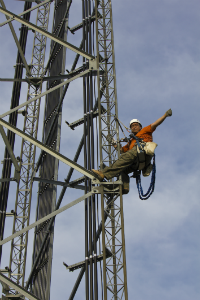 CapStone is a leader in innovation and implementation of custom power solutions for wireless infrastructure. From battery power upgrades to off grid alternative energy generator conversion, our cross-industry design teams are uniquely positioned to bring you energy and cost savings opportunities. "Throughout the nationwide network integration of the AT&T and Cingular networks, only two markets were executed flawlessly -- one of them was the Pacific Northwest"